In a recent shareholder meeting, Nintendo’s Senior Executive Officer Susumu Tanaka stated that the company is “looking to release around 20 to 30 indie games on Nintendo Switch per week.” Pode, out now exclusively on Nintendo’s portable console, is the kind of title that stands to suffer most from that kind of fast-paced, oversaturating business model. At a glance, the smooth, 3D aesthetic looks like it could belong to any of the games that might arrive on the eShop in a week. However, this puzzler iterates on its visual style in the same way that it iterates on its clever design. Pode stars two protagonists — a shooting star who crashlands on earth, and a rock who teams up with the star to get them through a cave and back into the sky. 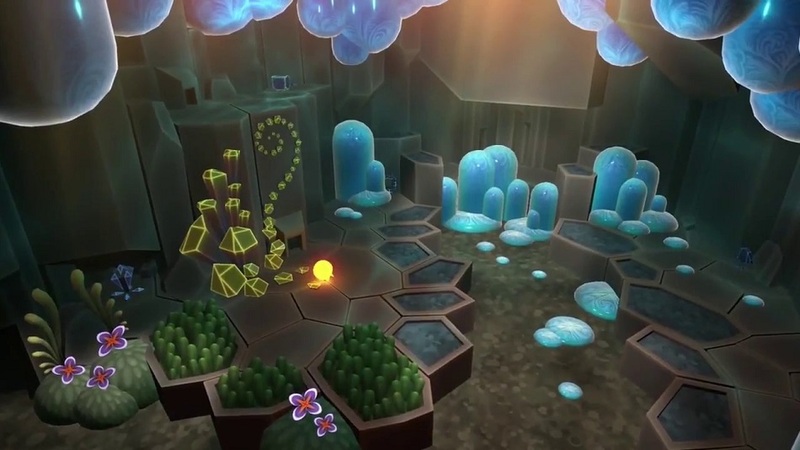 As these cute but fairly generic characters enter cute but fairly generic puzzle chambers, the player (or players in co-op) will use their powers to interact with and change the environment. Pressing ZR causes the star to shine bright, which then coaxes the green buds scattered throughout each room to flower and grow. As the rock, the same button will cause a magnetic shield to pop up, drawing plates and promontories out of the ground. These skills are the player’s bread and butter for puzzle-solving, but just as often, the results are purely aesthetic. Pixel hunters who pace the surface area of a room will be rewarded, if not with a solution, then with the environment beautifying before their eyes. Like one of the vibrant flowers unfolding from Pode’s stony ceilings, the games complexity reveals itself slowly, unveiling new abilities for the Star and the Rock as their trek back to the sky progresses. At just the right moment, the devs introduce the ability for the Star to teleport, which is a move that adds fascinating new wrinkles to each level. At another point, having grown accustomed to using both characters to solve puzzles, the game splits them up into separate chambers. 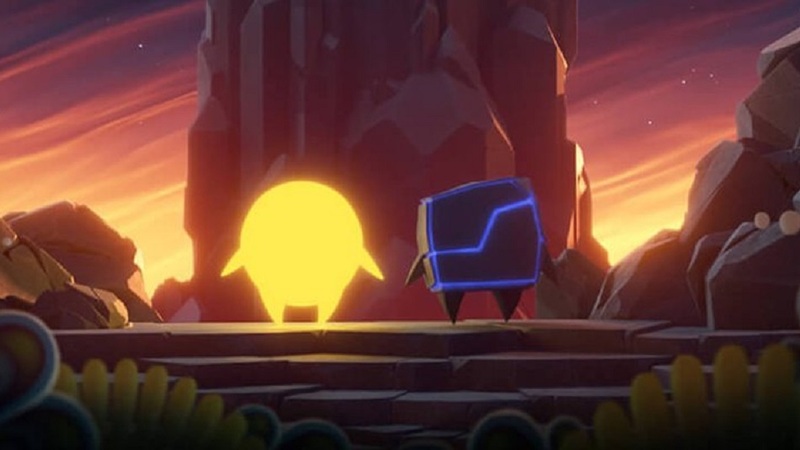 Clocking in between 8-10 hours, Pode never outstays its welcome, hiding similar tricks up its sleeve until the final moments. While Pode’s difficulty follows a gentle curve for the majority of its runtime, one particular puzzle had me genuinely stumped. I stopped playing, completed Wolfenstein II in its entirety and then came back to it. I still had no idea how to solve it, but at that point a Let’s Play of that portion hit YouTube. This stumper was an anomaly, but it halted my time with the game dead in its tracks for weeks. It’s also worth noting that the pulled-back perspective isn’t ideal for 3D platforming and I failed jumps as often as I succeeded. Whenever Star or Rock misses a jump, however, they immediately bounce back up to a nearby ledge, so this was only a mild annoyance that never actually frustrated. Disclosures: Pode is developed and published by Henchman and Goon, and is available on Switch. This copy of the game was obtained via publisher. Approximately 10 hours were devoted to the game in single player and it was completed. Two hours were given to multiplayer. The entire game can be played cooperatively. Parents: Pode got an E rating from the ESRB with no criteria listed. I can confirm this — there’s nothing for parents to worry about here. Deaf and Hard of Hearing Gamers: There is no dialogue in the game, but all text in the game is available in 18 languages. 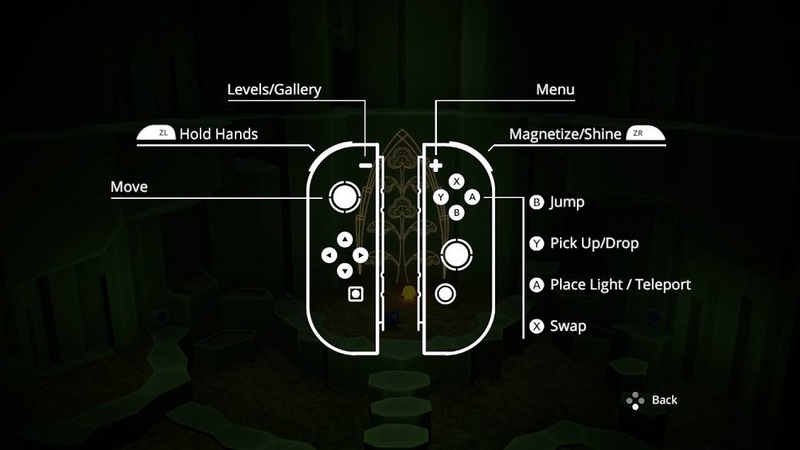 Controls: Controls are not remappable.